Do Something Good is an Incubation Collective primarily focused on realizing interactive experiences that arise at the cross section of art and technology; driven with the purpose of creating unique transformative experiences. Within the body of interactive work created by Do Something Good, blow_hot_and_cold is the first piece to manifest itself outside the digital realm, debuting exactly one year before the presidential election day, November 8th. 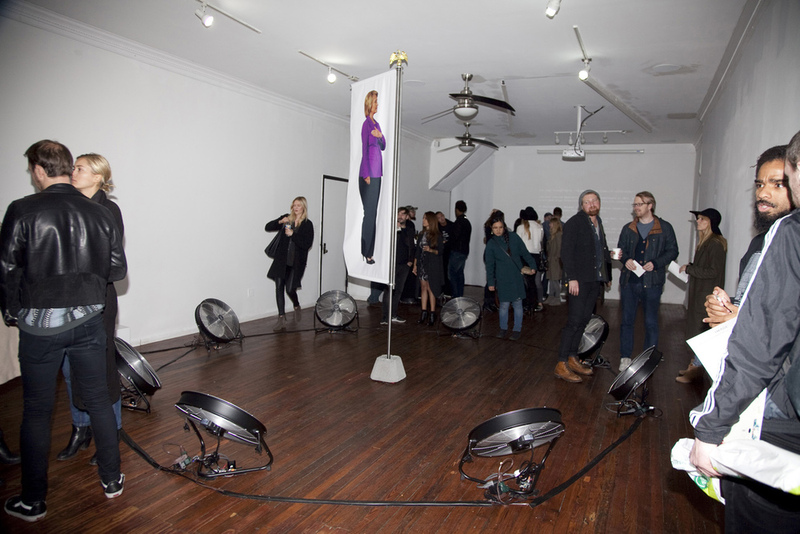 It’s an immersive interactive installation that invites the audience to interact with the work, prompting viewers to take a stance on their political beliefs. 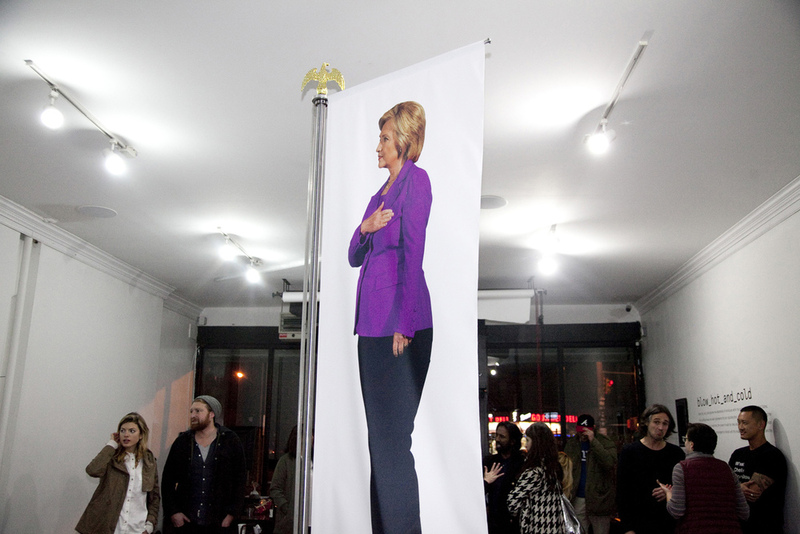 The work consists of a life-size politician mounted to a flag pole and surrounded by eight fans. Each fan represents an opposing political opinion currently dividing the political landscape: gun laws, climate change, health care, and abortion. Each political issue is represented by two opposing fans, one for and one against. By processing the sentiment of tweets in real-time, the power of each fan rises and falls based on the support that issue receives online. As each issue fluctuates, the politician shifts direction to face the opinion with the strongest support. 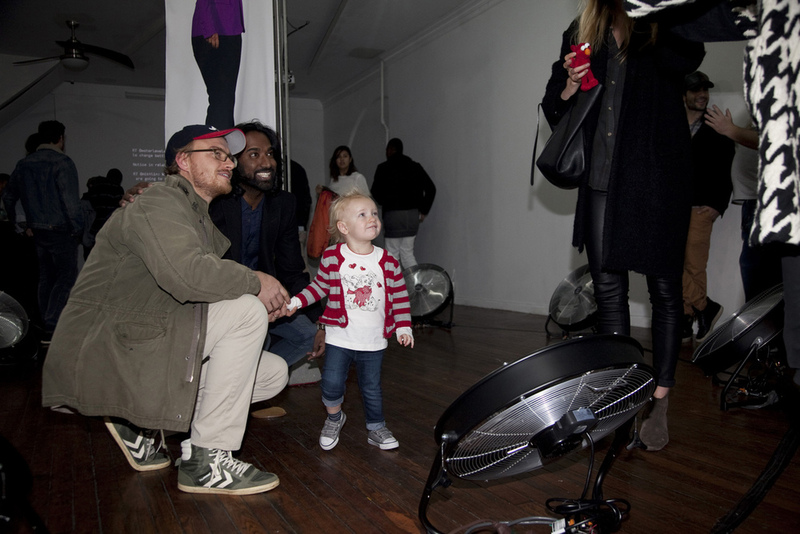 Visitors are encouraged to interact with the installation by walking between the flag and the fans to disrupt the wind. 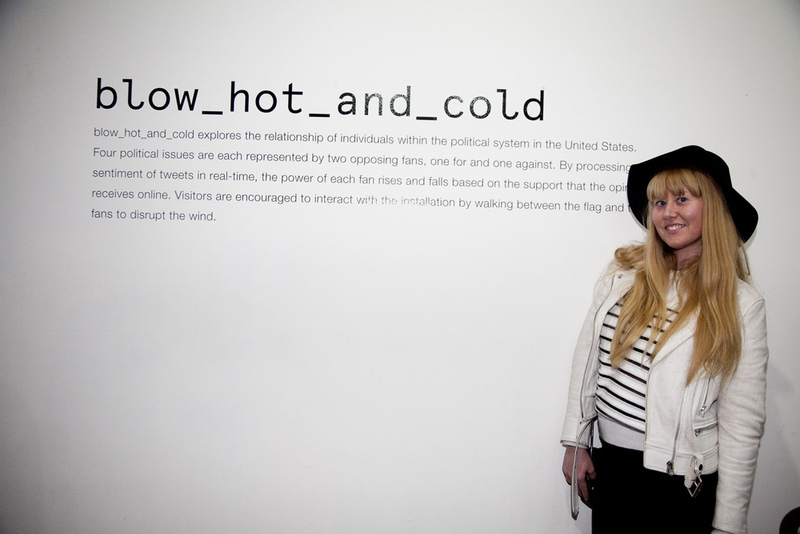 Ultimately blow_hot_and_cold explores the relationship of individuals within the political system in the United States, the installation creates a physical space between the virtual swell of opinion and the individual. 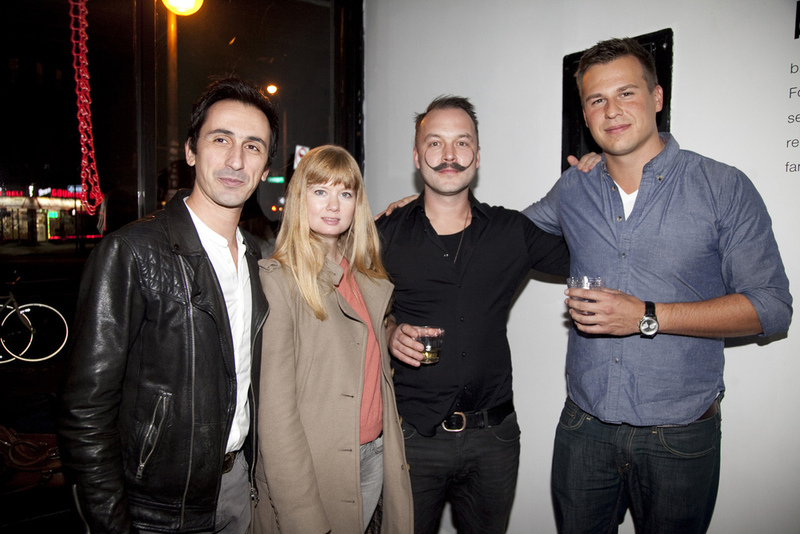 The NYC based collective is comprised of members around the world from Portugal to Pakistan to Portland. With a wide range of backgrounds in fine art, product design, computer science, robotics and more, the group uses their diverse knowledge base to collaborate on groundbreaking new media projects. Previously, their work has been featured in major art, tech and culture publications including The Creators Project, Hyperallergic, The Huffington Post, The Verge, The LA Times, and The New York Times among others.